In the Meantime whenever you wish to read my Correct and True Predictions, do click here. Topics Covered in this article. Why use Reiki instead of using other products, Pujas, Havans, Yagyas, Yagnas, Mantra Jaaps, Gems, Semi Precious Gems, Yantras, Talismans etc? What exactly is the Argument for Astro Reiki again? Examples of a few Astrological Combinations that are HEALED by Reiki by Rikhav Khimasia and are more prevalent in horoscopes are as follows. Reiki is a Japanese word for the Cosmic Healing energy. It is an ancient form of Tibetan Healing (lay-on-hands healing technique) rediscovered in the late 1800’s by Dr. Mikao Usui (an allopathic Physician & Surgeon) of Japan. It is a very simple yet a powerful technique that can be learned and practiced by anyone. Reiki is a type of divine, pure and positive energy that finds its source in the Supreme Consciousness and is capable of healing/cleansing/energizing everything and anything that one can think of, right from Astrological negatives like planets, Signs, Planetary Combinations called Yogas/Doshas to Star Sign/Nakshatra based negative energies at birth, to Vaastu, IChing, FengShui, it fact literally anything. It can even help resolve negative Tantra, Mantra, Yantra too. Reiki is the only miraculous gift of god which on account of its spiritual background, has been successfully tapped and practiced not only in the spiritual aspects of life but is also known to bestow the world of medical science with results that are thrilling, astounding and phenomenal. Reiki is a healing method using the universal life force, which is present in all living things, to effect change physically, emotionally, mentally, and spiritually. 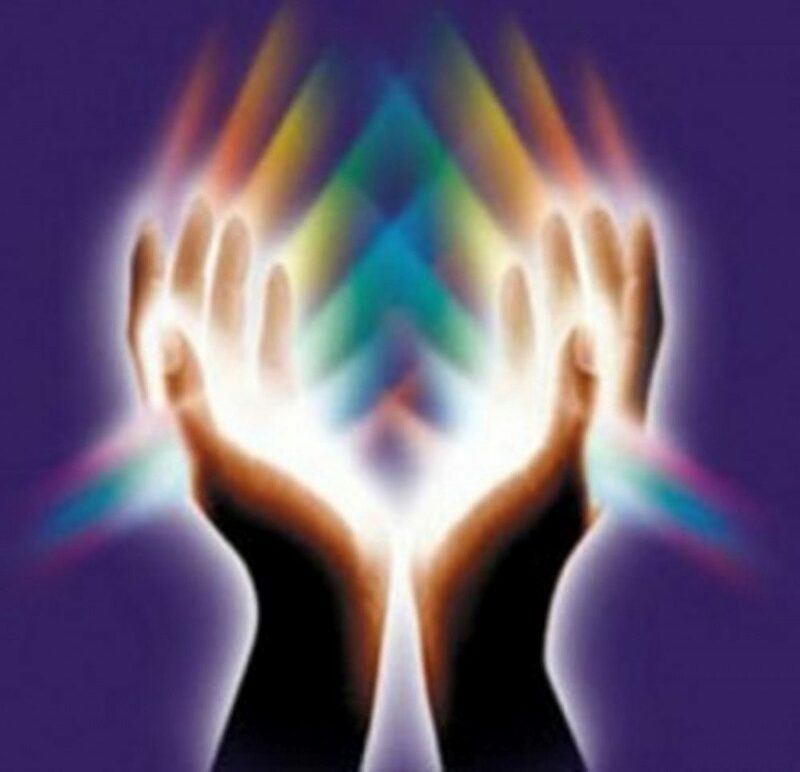 Reiki can energize, revitalize, balance, and harmonize the body, mind, and spirit. It is very powerful and effective, yet subtle and non-invasive. Anyone can learn to do Reiki by receiving energy transfers, called attunements, from a Reiki Master. Once attuned, one is able to conduct the universal life force source to the recipient. There are many arguments which make one wonder whether the remedies will work or not. This does not mean that one is against these remedies or use and practice of these remedies. At times in fact many a times you will observe that people who have followed the above remedies have not benefitted and that is why we see a rise in other remedial systems like Reiki and such which is the Channelising of Universal Cosmic energy. Reiki being the Universal Positive Cosmic Energy, which is omnipresent in the Universe since time immemorial, is the positive energy needed to heal anything and everything that these products can heal (only if these products are Energised/Attuned/Cleansed and programmed for the desired results). To know about Shaktipaat, you may read it at the following link What is Shaktipaat / Attunement / Energizing in the Astro Remedy and Vaastu Healing world? So now if these products are helpless without any kind of energising and their energies get diminished with time and can get negative too, Reiki is a better option (I am not saying Reiki is the best option or only option). Reiki as is pure energy which can be transferred from the Cosmic Consciousness to any where or any intention and as can be focussed on the person, animal, thing, area, works better. So Astro Reiki, is basically giving or rather Channelising the Positive Cosmic Universal Energy to focus on balancing the Astrological aspects of your horoscope to help bring a positive change in your life. Astro Reiki keeps in check or Holds the negative energies of the Negative Astrological forces of your horoscope from entering your life, it also helps in cleansing the Astrological Negative forces that have already entered your life (No other remedy like Yantras, Gems, Mantras can do that). Reiki too, being the same energy from the same Cosmic Universe of which the planets and humans are a part of can be very much effective in healing these negative planetary energies which are the ROOT of the problems in one’s life. Once a 21 day complete cleansing through Reiki is required, then as per your feelings or need, you can get it done once every year for a day or 21 days again to keep up with blocking that energy entering the life. No Planetary Remedy or any other Remedy is a onetime Remedy, one always has to keep on redoing the remedy every now and then. Look at our Pujas as per the Vedic System, The Shastra (weapons)and Yantra (Machines/vehicles) Puja done every year on Dusshera is refurbishing energy back into tem, the Laxkmi Pujan Sharda Pujan is refurbishing the cosmic energy of Maa Laxmi in our coins, gold and ornaments. The Saraswati Pujan too, Chhath Puja of Biharis and others are all, reenergizing, recleansing, refurbishing or the Cosmic Universal energy in them. Similarly, Reiki for every planetary Dosha needs to be done once every year. This awareness not being present in the common man, though understood and known by many Reiki practitioners, is the reason why many times Reiki fails. To know whether you have any of these or any other negative combinations (Doshas/Yogas) send your message on WhatsApp to 9925171291 to Rikhav Khimasia with energy exchange of Rs. 1050/- through Paytm on 9925171291. Examples of a few Astrological Combinations that are healed and are more prevalent in horoscopes are as follows. Kaalsarpa Dosha happens when all planets fall between Rahu to Ketu. When a common man or astrologer looks at the chart, when all planets come between Ketu to Rahu, they consider it as Kaalsarpa Dosha too. Other times when one or more planets are with Rahu or Ketu, without calculating the degrees of the planet, they consider it is Kaalsarpa Dosha too. This is wrong, because it’s as if one is diagnosed wrongly and then goes for an unnecessary remedy which involves costs as well as causes a negative influence as the disease was not there altogether. To know whether you have Kaal Sarpa Dosha or not and the best dates for Kaal Sarpa Dosh remedy Paytm Rs. 1050/- on 9925171291 followed by WhatsApp of your birth date, Time and place. What are the effects of Kaalsarpa Dosha? The presence of Kalsarpa Dosha in your Chart gives rise to highly inauspicious effects and it blocks progress to a large extent. It hampers the chances of you achieving success and prosperity. Sudden unfavourable changes, suffering, humiliations, struggles and various other problems are some of the characteristics of this Dosha. Following remedies will alleviate a lot of problems being generated by this negative configuration and will bless you with great strength to overcome the challenges that come in your path. Kaal Sarpa Dosha Nivaran Reiki or Havan or Puja or Shaktipaat of Yantra is best done when transitting Rahu and Ketu are on your natal Kaal Sarpa Dosha OR when there is a Kaal Sarpa Dosha in the transits OR a Full Moon on either Rahu or Ketu. Once 21 day Reiki for Kaal Sarpa Dosha is done you will start feeling some benefits and slowly with more such cleansings done every once in a year will see to it that it diminishes completely and you will increasingly find increase in endeavours, successes in endeavours, favours, success, satisfaction and happiness in life. To know more about OTHER SERVICES offered by Rikhav Khimasia please CLICK HERE. The placement of planet Rahu in the 2nd House, 5th House, 9th House and 10th House results into the formation of the Yoga called the Pitru Dosha. At times, Rahu is not seen in these houses 2, 5, 9 and/or 10 houses in the regular Kundli, but in Chalit OR Cusp Kundli it is seen in these houses, which normal humans, Online Free Horoscopes, Automated Online Horoscopes do not show and neither can decipher or find out. Unless you do not have a Pitrudosha you should not get its remedy done, it rather invites this Dosha in the next generation or creates some other complications. To know whether you have Pitr Dosha / Pitru Dosha or not and the best dates for Pitr Dosha / Pitru Dosha remedy Paytm Rs. 1050/- on 9925171291 followed by WhatsApp of your birth date, Time and place. What are Results of Pitrudosha OR Effects of Pitrudosha? There are Problems in family life, various obstacles, sudden death of some members in your family, etc sufferings of various kinds are also some of the indications of having the Pitru Dosha. This Dosha also reduces the power of your fortune, and will not let you get the due rewards of your efforts. Some very powerful horoscopes having Raj Yogas, Gaj Kesari Yoga, Panch Mahapurush Yogas, Hansa Yoga, Maalavya Yoga, Shash Yoga, Ruchak Yog, Buddhaditya Yoga, Neech Bhang Raaj Yoga etc., do not give you results due to Pitrudosha. Pitrudosh / Pitrdosha Nivaran OR Pitrudosh / Pitrdosha Shanti Reiki or Havan or Puja or Shaktipaat of Yantra is best done when transitting Rahu comes over your natal Rahu or in 2nd, 5th, 9th or 10th house of your horoscope OR if very urgent, best when at least transiting Moon is passing over your natal Rahu. Once 21 day Reiki is done you will start feeling some benefits and slowly with more such cleansings done every once in a year will see to it that it diminishes completely and you will increasingly find increase in endeavours, successes in endeavours, favours, success, satisfaction and happiness in life. Sade Sathi or Sani Panoti usually happens when transiting OR Gochar Saturn/Sani/Shani is exactly at 45 degrees before the degrees of your natal Moon or Janma Chandra or Chandra Rashi and lasts till 45 degrees after the same. Means for almost seven and a half years of the transit or gochar of Sani through these 90 degrees is the TRUE SADE SATHI. The common theory of sign/rashi before your Moon, the rash if your moon and the rashi after your Moon to decide Sani Sade Sathi or Panoti is wrong. This concept is for the layman astrologer and common man. To know whether and when you have Sade Sati or not and the best dates for Sade Sati remedy Paytm Rs. 1050/- on 9925171291 followed by WhatsApp of your birth date, Time and place. and will help you to appease planet Saturn and the ill-effects that it may cause during the seven and a half years transit. With the help of these remedies you will be able to withstand various challenges that you may encounter in these seven and a half years. It will relax your mind and will reduce mental worries. Sade Sathi Reiki can be done when your Sade Sathi starts and repeatedly for the days every month when transiting Moon (Gochar Moon) meets transiting Saturn/Sani/Shani during the years of the Sade Sathi. To know more about Services offered by Rikhav Khimasia please CLICK HERE. Kemadruma Yoga usually is formed when Moon in your natal chart is alone, with no planets in its adjacent houses too. Sometimes Moon is under the aspect of a planet, though Moon is alone in a house and has not planets in its adjacent houses. The aspect of a planet on Moon, nullifies/negates/cancel the Kemadrum Dosha. Automated horoscopes, online cast horoscopes, common man and common astrologers do not know this and unnecessarily diagnose this Yoga, which unnecessary puts a cost on the client to rectify the Kemdruma Yoga. To know whether and when you have Kemadrum Yog or not and the best dates for Kemadrum Yog remedy Paytm Rs. 1050/- on 9925171291 followed by WhatsApp of your birth date, Time and place. What are the effects of Kemadruma Yoga? Results of Kemadruma Yoga, there will be a lot of mental disturbances, a person is not able to take decisions and is usually in double minds. To achieve success in life, it is important to have focus and good composure of mind, which this Yoga or Dosha destroys. and will help you to appease planet Moon and will have a soothing effect on your mind. Kemadrum Yog Nivaran Reiki is usually done on the days when transitting Moon is in Kemadruma Yog OR when it comes over its natal position in your birth chart. Getting the first/initial Kemadruma Yog Nivaran Reiki for 21 days and then for a few years every once in a year when it forms a Kema Druma Yoga in the transit, will diminish the negative influences of the Kemadruma Yog and slowly you will observe focus and concentration of your mind and also a good composure of your mental strength and abilities. This Yog happens when Sun and Mars are in conjunction in any sign or house or even when they are in two adjacent signs or houses but are in a close proximity of 10 degrees. To know whether and when you have Surya-Mangal Angarak Dosh or not and the best dates for Surya-Mangal Angarak Dosh remedy Paytm Rs. 1050/- on 9925171291 followed by WhatsApp of your birth date, Time and place. The Sun and Mars both happen to be the planets which represent the fire element and are very hot in their composition. Both Surya and Mangal are fiery planets. Thus, the combination of both these fiery hot angry cruel planets results into excessive aggression, a bad temperament, arrogance, heat-related problems and such other issues. There will be a tendency to pick up fights with people for even petty matters and others may perceive you as a highly egoistic person. Though you may possess good leadership skills, you may be dominating in your approach, and this may cause problems in relationships in general. This Yoga is an originator of new Karma. You tend to make choices of passion, heat, temper, anger of the negative kind in areas where this Yoga is formed in your horoscope and the areas or planets it gets associated with. and will help you to appease this Fiery Combo and will have a soothing effect on your mind, body, spirit, emotions and thereby your destiny. These remedies help you calm down the heat and passion and thereby give an opportunity to make a choice of what Karmic action to take. Get special Astro Reiki for Surya Mangal Angarak Dosha Nivaran or Shanti on the day transitting Mars transits your natal Surya Mangal Angarak Yog or when transitting Sun transits your natal Surya Mangal Angarak Yog, or when there is Surya Mangal Angarak Yoga in the heavens in any Rashi or house or when there is Surya Mangal Angarak Dosha on your natal Surya Mangal Angarak Dosha. Once a 21 day cleansing through Reiki is done, you can then get it done at least once a year when transitting Mars or Sun come over your natal Surya Mangal Angarak Dosha. With continuous cleansing of this Dosha, you will start feeling cooler, less temperamental, more peaceful and tolerant, which will result in better relations in society, with friends, family, at the workplace, leading to better success. This Dosha happens when Sun and Saturn are in conjunction in any sign or house or even when they are in two adjacent signs or houses but are in a close proximity of 10 degrees. To know whether and when you have Surya-Shani Shapit Dosh or not and the best dates for Surya-Shani Shapit Dosh remedy Paytm Rs. 1050/- on 9925171291 followed by WhatsApp of your birth date, Time and place. The Sun signifies success and fame and its adversary – Saturn represents delays and obstacles in life. When these two planets of contrasting ideologies are in conjunction in a Chart, then the person has to encounter a lot of challenges and struggles. Success may not be entirely denied due to this combination, but there will be too many delays and testing situations in life. You can choose to rectify this problem from the following remedies. The Shapit Dosha Nivaran Reiki is done on the day, transitting Sun in the Solar System is conjunct (in yuti) with transitting Sani/Shani/Saturn Or in conjunction with your natal Saturn. This Shapit Dosha Reiki is also done when transitting Sani is in conjunction with your natal Sun or when the Shapit Dosha happens on the Shapit Dosha in your natal chart. Once a 21 day Shapit Dosha cleansing through Reiki is done, you can then get it done at least once a year when transitting Sun comes over your natal Shapit Dosha or transiting Saturn. With continuous cleansing of this Dosha, you will start feeling happier and observe lesser delays, hurdles, restrictions in life. This Dosha happens when Sun and Rahu are in conjunction in any sign or house or even when they are in two adjacent signs or houses but are in a close proximity of 10 degrees. To know whether and when you have Surya-Rahu Grahan Dosha or not and the best dates for Surya-Rahu Grahan Dosha remedy Paytm Rs. 1050/- on 9925171291 followed by WhatsApp of your birth date, Time and place. The Sun is the planet which stands for all things grand and majestic, and on the other hand, Rahu – the shadowy planet, which is the top-ranked malefic, signifies the dark and unfortunate areas of life. Due to this combination, you may experience a lot of troubles and hassles at the workplace, or misunderstandings with authority figures, or you may not get the success that you may deserve easily. There will also be some chances of your image getting maligned by people who wish ill for you. Your leadership and management skills may also get clouded. The Surya Rahu Grahan Dosha Nivaran Reiki OR Surya Rahu Grahan Dosha Shanti Reiki is done on the day, transitting Sun in the Solar System is conjunct (in yuti) with transitting Rahu/Dragon’s Head/North Node Or in conjunction with your natal Rahu. It is also done when transitting Rahu is in conjunction with your natal Sun or when the Surya Rahu Grahan Dosha happens on the Surya Rahu Grahan Dosha in your natal chart. Once a 21 day Surya Rahu Grahan Dosha cleansing through Reiki is done, you can then get it done at least once a year when transitting Sun comes over your natal Surya Rahu Grahan Dosha or transiting Rahu. With continuous cleansing of this Dosha, you will start experiencing lesser humiliatory situations and lesser attacks on your self pride. Feeling happier and being properly understood as well as beginning to get support or acceptance from the boss are also added benefits. This Dosha happens when Sun and Ketu are in conjunction in any sign or house or even when they are in two adjacent signs or houses but are in a close proximity of 10 degrees. To know whether and when you have Surya-Ketu Grahan Dosh or not and the best dates for Surya-Ketu Grahan Dosh remedy Paytm Rs. 1050/- on 9925171291 followed by WhatsApp of your birth date, Time and place. In Astrology, whenever there is a combination of two planets with conflicting ideologies, then the overall harmony of the Horoscope gets affected. The Sun and Ketu are adverse planets, and the positive energy of the Sun gets blocked due to the eclipsing suction influence of Ketu. Your general prospects for success and progress get affected due to this combine and you will not be able to able exercise your influence well, in any sphere of life. Despite of having a lot of talent, you will be surrounded by inhibitions and you may not be able to promote yourself well. Self Confidence takes a great beating with this Yoga, while you may find that you do not carry much Personality. The Surya-Ketu Grahan Dosh Reiki is done on the day, transitting Sun/Surya in the Solar System is conjunct (in yuti) with transitting Ketu/Dragon’s Tail/South Node Or in conjunction with your natal Ketu. This Surya-Ketu Grahan Dosh Reiki is also done when transitting Ketu is in conjunction with your natal Sun or when the Surya-Ketu Grahan Dosh happens on the Surya-Ketu Grahan Dosh in your natal chart. Once a 21 day Surya-Ketu Grahan Dosh cleansing through Reiki is done, you can then get it done at least once a year when transitting Sun/Surya comes over your natal Surya-Ketu Grahan Dosh or transiting Ketu. With continuous cleansing of this Dosha, you will start feeling confident, able to impress others with your personality, be able to take good decisions with a well measured level of assertion. This Dosha happens when Moon and Rahu are in conjunction in any sign or house or even when they are in two adjacent signs or houses but are in a close proximity of 10 degrees. To know whether and when you have Chandra-Rahu Grahan Dosh or not and the best dates for Chandra-Rahu Grahan Dosh remedy Paytm Rs. 1050/- on 9925171291 followed by WhatsApp of your birth date, Time and place. The Moon is a very important planet, as it happens to represent our mind. But if such an important planet is in conjunction with the heavyweight malefic – Rahu, then there are a lot of problems that arise in life. There will be a lack of peace of mind and mental comfort. You will be unable to enjoy the wonderful moments of life completely and you will be prone to mood swings. You will be misunderstood quite often and may even get betrayed or cheated by people easily. Mental suffering, turbulence, lack of sleep, anxiety, fear of the unknown, absent-mindedness, a wavering mind, over-emotionalism – these are some of the problems one has to face due to this unfavourable combination. Once a 21 day Chandra-Rahu Grahan Dosh cleansing through Reiki is done, you can then get it done at least once a year when transitting Moon/Chandra comes over your natal Chandra-Rahu Grahan Dosh or transiting Rahu. With continuous cleansing of this Dosha, you will start having a better control over your mind and emotions, peace and stability in your mental abilities and a stable firm mind free of many of the negative reversing turbulent influences of Rahu. This Dosha happens when Moon and Ketu are in conjunction in any sign or house or even when they are in two adjacent signs or houses but are in a close proximity of 10 degrees. To know whether and when you have Chandra-Ketu Grahan Dosh or not and the best dates for Chandra-Ketu Grahan Dosh remedy Paytm Rs. 1050/- on 9925171291 followed by WhatsApp of your birth date, Time and place. The one with a good composure of mind, is considered to be lucky and wise. But if the Moon – which signifies our mind, is in conjunction with a violent and destructive planet like Ketu, then things can become messed up. Over-aggressiveness, rudeness and recklessness can be the result! You may get induced to take a lot of wrong decisions and there may be several misunderstandings with people around you. Being prone to anger, you may keep getting into arguments with people and the general peace may thus keep getting affected. Once a 21 day Chandra- Ketu Grahan Dosha cleansing through Reiki is done, you can then get it done at least once a year when transitting Moon/Chandra comes over your natal Chandra- Ketu Grahan Dosha or transiting Ketu. With continuous cleansing of this Dosha, you will find that you have full composure of your mind, a completely new peace and powerful mind free of the vacuum caused by Ketu. You will slowly be able to take unbiased decisions and firm decisions too. This Dosha happens when Moon and Saturn are in conjunction in any sign or house or even when they are in two adjacent signs or houses but are in a close proximity of 10 degrees. To know whether and when you have Shani-Chandra Vish Yoga or not and the best dates for Shani-Chandra Vish Yoga remedy Paytm Rs. 1050/- on 9925171291 followed by WhatsApp of your birth date, Time and place. The Moon is a fast-moving planet and is the indicator of our mind and mental health. On the other hand, Saturn happens to be the slowest amongst the planets and denotes suffering and obstacles. Thus, the combination of the Moon and Saturn results into the ‘Chandra-Shani Vish Yoga’, which acts like a poisonous influence in your life. Your mental receptivity, grasping speed and mental peace get affected and various areas of life get affected due to this. Misunderstandings and mental agony are two of the most prominent features of this combination. There are also chances of your general well-being and progress getting blocked by this unfavourable combination. Once a 21 day Shani-Chandra Vish Yoga cleansing through Reiki is done, you can then get it done at least once a year when transitting Moon/Chandra comes over your natal Shani-Chandra Vish Yoga or transiting Sani. With continuous cleansing of this Dosha, you will note that you have become more positive about life and events, have an unwavering accepting mental attitude and are more proactive and optimistic in life. Your fresh new outlook towards life will start ensuring that you lead a happier, fuller, successful life through decisions made without the poisonous negativity and slowness of Saturn/Shani/Sani. To know whether and when you have Mangal-Rahu Angaraka Yog or not and the best dates for Mangal-Rahu Angaraka Yog remedy Paytm Rs. 1050/- on 9925171291 followed by WhatsApp of your birth date, Time and place. The fiery planet Mars is all about vigour, vitality, aggression and action, while Rahu – the mysterious planet is the significator of the dark areas of life and the negative energies. Due to this combination, the crude and abundant energies of Mars get under the negative influence of Rahu, and thus the results are a violent temperament, argumentative destructive nature, differences of opinion with people and extreme aggression. You will not be able to be at peace with things, and even if you manage to do so after a lot of difficulty, then there may be some incident taking place around you, which may provoke you. Moreover, the positive qualities of Mars will get subdued and masked due to Rahu’s influence. Once a 21 day Mangal-Rahu Angaraka Yog cleansing through Reiki is done, you can then get it done at least once a year when transitting Moon/Chandra comes over your natal Mangal-Rahu Angaraka Yog or transiting Mars. With continuous cleansing of this Dosha, you will start feeling more potency of positive constructive nature in your mind, body, spirit. Your leadership qualities with more proactive force will start being emerged and observed. Success will start coming to you through good firm constructive decisions you will be enabled to take, as a result of the healing. To know whether and when you have Mangal- Ketu Angaraka Yog or not and the best dates for Mangal- Ketu Angaraka Yog remedy Paytm Rs. 1050/- on 9925171291 followed by WhatsApp of your birth date, Time and place. Though, planet Mars and Ketu happen to be very similar in nature, this combination of these two is not considered to be an auspicious one. Apart from the qualities like courage, determination, confidence among various others, planet Mars represents the areas like anger, impulse and speed. The connection with Ketu amplifies the negative energies of Mars, and often it is seen that it gives rise to the destructive tendencies. On some occasion, you will get compelled to act insensibly and without due forethought, because of which you may have to repent later. Once a 21 day Mangal-Ketu Angaraka Yog cleansing through Reiki is done, you can then get it done at least once a year when transitting Moon/Chandra comes over your natal Mangal-Ketu Angaraka Yog or transiting Mars. With continuous cleansing of this Dosha, you will start feeling that your courage and determination have started flowing freely and that you are not fearful of taking risks. Ketu’s vacuum suction strengths which bog down or pull down your leadership, aggression and assertion will recede slowly, making way for a successful leadership filled life. This Dosha happens when Jupiter/Guru and Rahu are in conjunction in any sign or house or even when they are in two adjacent signs or houses but are in a close proximity of 10 degrees. To know whether and when you have Guru-Rahu Chandal Yog or not and the best dates for Guru-Rahu Chandal Yog remedy Paytm Rs. 1050/- on 9925171291 followed by WhatsApp of your birth date, Time and place. Amongst the planets, the mighty Jupiter is considered to be the most auspicious and magnanimous planet, without whose blessings it is very difficult to achieve progress and wealth in life. Such a top-rank planet like Jupiter being in conjunction with the malefic Rahu gives rise to the highly inauspicious Guru-Rahu Chandal Yoga. This Dosha will hamper your chances of achieving great wealth, honour and prosperity. Your fortune will not support you as strongly as it should and the power of your intuition will also get subdued. The ability to distinguish the right from wrong will get affected and thus you may tend to get influenced by others easily. Chances of defamation and some people conspiring against you will increase. Once a 21 day Guru-Rahu Chandal Yog cleansing through Reiki is done, you can then get it done at least once a year when transitting Moon/Chandra comes over your natal Guru-Rahu Chandal Yog or transiting Rahu. With continuous cleansing of this Dosha, you will start observing that your wisdom has now started opening up, your luck your religious feelings will start showing their effects and you will begin to experience success is opening up to you on many fronts, slowly and steadily. This Dosha happens when Jupiter/Guru and Ketu are in conjunction in any sign or house or even when they are in two adjacent signs or houses but are in a close proximity of 10 degrees. To know whether and when you have Guru-Ketu Chandal Yog or not and the best dates for Guru-Ketu Chandal Yog remedy Paytm Rs. 1050/- on 9925171291 followed by WhatsApp of your birth date, Time and place. The expansive Jupiter being in conjunction with the restrictive Ketu will not augur well for your prosperity and overall fortunes. There may be sudden, unpleasant changes that may create a lot of troubles for you and you will notice, that your luck is not favouring you either. You will not be able to enjoy the happy moments of life easily, and there may be some things that will keep bothering you. There may also be some complications or delays in matters related to progeny. There will be a constant feeling that your efforts are not wielding the desired results, and this will cause a lot of frustration. The exclusive Guru-Ketu Chandal Yog Nivaran Yantra will help you to nullify most of the negative effects arising out of this Dosha. Once a 21 day Guru-Ketu Chandal Yog cleansing through Reiki is done, you can then get it done at least once a year when transitting Moon/Chandra comes over your natal Guru-Ketu Chandal Yog or transiting Ketu. With continuous cleansing of this Dosha, you will start noticing that luck favours you now, your spate of ill luck and misfortune has started declining, you will feel more wise and more positive, free from the unseen clutches of Ketu which pulled back your happiness, success and growth. This Dosha happens when Saturn/Sani and Rahu are in conjunction in any sign or house or even when they are in two adjacent signs or houses but are in a close proximity of 10 degrees. To know whether and when you have Shani-Rahu Shapit Dosh or not and the best dates for Shani-Rahu Shapit Dosh remedy Paytm Rs. 1050/- on 9925171291 followed by WhatsApp of your birth date, Time and place. Saturn – the planet of stability, patience and justice being in conjunction with the ruthless malefic planet – Rahu, results into the Shani-Rahu Shapit Dosha, and is one of the highly unfavourable Yogas in Astrology. Saturn happens to be the planet which represents our hard work and efforts, and it being in association of Rahu, will not let your all your efforts bear fruit and fetch the expected results. Also, your goodwill will get dented because of this inauspicious combination. The planets representing dissatisfaction and troubles being in conjunction, doesn’t also augur well for your overall happiness and contentment. Once a 21 day Shani-Rahu Shapit Dosh cleansing through Reiki is done, you can then get it done at least once a year when transitting Moon/Chandra comes over your natal Shani-Rahu Shapit Dosh or transiting Ketu. With continuous cleansing of this Dosha, you will start experiencing freedom from frustration and anxiety and observed that you are now more patient and hardworking and find that your hardwork, efforts are going in the right direction. Success obviously follows you now. This Dosha happens when Saturn/Sani and Ketu are in conjunction in any sign or house or even when they are in two adjacent signs or houses but are in a close proximity of 10 degrees. To know whether and when you have Shani-Ketu Shapit Dosh or not and the best dates for Shani-Ketu Shapit Dosh remedy Paytm Rs. 1050/- on 9925171291 followed by WhatsApp of your birth date, Time and place. Saturn is the planet of limitations and Ketu represents restrictions and obstructions. So, the combination of these two planets would slacken the pace of your progress in life. This association will reduce your inclination to achieve a higher status in life and to aim for better things in life. Though this will give you a great level of detachment, there will also be a sense of disinterest. Due to this combination, the chances of you not getting rewarded for the efforts that you put in increase. Once a 21 day Shani-Ketu Shapit Dosh cleansing through Reiki is done, you can then get it done at least once a year when transitting Moon/Chandra comes over your natal Shani-Ketu Shapit Dosh or transiting Ketu. With continuous cleansing of this Dosha, you will start feeling success within reach and your openness to be more patient and hardworking than before as the unseen clutches of Ketu sucking up all of the patience and willingness to work harder with persistence are now cut down with this healing. The seven planets in our horoscope take up many roles depending on the sign they are in, the houses they own, the Navamsa Chart (D9), etc. Thus these Planets need to be healed or strengthened or more empowered to give you good results and a happier, healthier, wealthier, satisfied fuller life. You can thus deduce from the above combinations and more probabilities that can be conjured up when planets in your natal chart can also be in Own Sign, Friend Sign, Enemy Sign, Mool Trikona Sign other than being Exalted OR Debilitated. Furthermore, other than the Dashas of the good planet or bad planet, these planets continuously transit (move through the Solar System) giving you continuous good, bad, average results when they move from sign to sign). So one needs to either Appease them or Strengthen them constantly to take benefits or avoid misfortune. This can be done in various ways as shown below. Consume the commodities of strong but good planets and Give away and do not consume the commodities of weak and bad planets. Consume the commodities of weak but good planets and give away and do not consume the commodities of strong but weak planets. Wear gems and crystals of good planets in a manner that they touch the skin. Wear gems and crystals of bad planets in a manner that they DO NOT touch the skin. For good planets for you, to strengthen their positive energies, planet by planet and then again once a year when that planet is powerful in the transits. For bad planets for you, to plug their negative energies, planet by planet and then once a year when that planet is weak in the transits. To know which of these 7 planets are good or bad for you WhatsApp Rikhav Khimasia on 9925171291 with Energy Exchange of INR 1050/- vide PayTM to 9925171291. The brilliant Sun is a planet which represents success in career, power, influence, authority, your relations with your seniors and people in authority. Empowering this planet by Sun Astro Reiki will enhance your self-worth and will boost your confidence, thereby helping you to present yourself in a much more effective manner. Red Ruby of at least 3.25 carats weight, set in Gold in the third finger of your right hand. You may consume small doses of Magnesia Phosphorica Biochemie Salt as suggested by a Homeopathy Doctor. Appeasing or empowering Moon/Chandra is a remedial solution which will help in ending your search for mental peace, satisfaction and general well-being. The Moon signifies general prosperity, mental health and the power of thinking. Empowering this planet’s energies by the Moon Astro Reiki it will help you to overcome hurdles that are being caused due to a cluttered thought-process and an agitated mind. Pearl of at least 3.25 carats weight, set in Silver in the last finger of your right hand. You may consume small doses of Calcarea Fluorica Biochemie Salt as suggested by a Homeopathy Doctor. Empowering this planet’s energies by the Mars Astro Reiki is one of the most effective remedies for planet Mars and getting it done will help you to face the challenges in life with a bold attitude and will also give you the edge to succeed in competitions. It will bless you with courage, self-confidence and will power. You may consume small doses of Kali Phosphoricum Biochemie Salt as suggested by a Homeopathy Doctor. Communication, self-expression and intelligence are some of the most important areas that you need to be strong in, to advance well in this world of tough competition. This remedy here or Mercury Reiki is a solution which will enable you to sharpen your logical, analytical and observation skills and will also enhance your grasping power and understanding. You may consume small doses of Kali. Sulphuricum or Kali. Muriaticum Biochemie Salt as suggested by a Homeopathy Doctor. The planet Jupiter or Guru is considered to be the most auspicious amongst the planets and it is the planet, without whose blessings, it is almost impossible to achieve happiness, prosperity and wealth. Apart from having good talent, it is also important that the right opportunities come your way, and here, planet Jupiter plays a significant role. By empowering and/or appeasing it by Jupiter Astro Reiki, you will be able to augment the power of Jupiter in your Horoscope, and this will result into various auspicious events taking place in your life and a tremendous increase in optimism. You may consume small doses of Silica Biochemie Salt as suggested by a Homeopathy Doctor. Planet Venus is the cosmic artist and represents luxury, comforts, beauty, enjoyment and aesthetics. Happiness in married life, good relations with spouse, fulfillment of desires, good presentation skills are some of the important areas that Venus signifies and empowering and/or appeasing Venus by Venus Astro Reiki will help in gaining the blessings of the benevolent planet, whose blessings are essential to gain success on the material plane. You may consume small doses of Natrum Phosphoricum or Natrum Sulphuricum Biochemie Salt as suggested by a Homeopathy Doctor. Planet Saturn or Shani signifies discipline, stability and perseverance. It is impossible to achieve success and fame without hard work and patience. Saturn also signifies resilience and endurance and its blessings are absolutely essential to achieve a good position in life. If pleased, then the kind of fame, wealth and greatness that Saturn can bestow upon a person is phenomenal. But, if placed in an adverse position, then the same planet cause a lot of delays, obstacles and frustration. Empowering or appeasing Saturn by Saturn Astro Reiki will help in gaining the blessings of the tough taskmaster and also in warding off its negative effects. You may consume small doses of Calcarea Phosphorica Biochemie Salt as suggested by a Homeopathy Doctor. Smell or use on clothes or bath, natural Aroma Oils: Comfrey, Shepherd’s Purse, Mullein, Hemp/Elm, Slippery. Due to the unfavourable placement of Rahu, realising your ambitions can prove to be very difficult and there are chances of getting deprived of your due rights and benefits. Empowering or appeasing it with Rahu Astro Reiki will prove to be highly beneficial and will help in nullifying the malefic effects of the shadowy planet. It will also save you from a lot of troubles, unexpected losses, misunderstandings and serious health issues. Ketu is a planet which represents detachment, spirituality and philosophy. Ketu can help you in recognising your hidden talents and strengths and it is the planet, which will help you to resist the negative energies around you. Empowering or appeasing it with Ketu Astro Reiki will appease the volatile planet, and will help you to overcome its obstructive and negative energies. Astrology and/or Astro Reiki is not going to change your life also you are not suppose to stop any of your medications/efforts/doing all that is practical in the common running of life. Astrology, Astro Reiki and such other systems of Meta Physics, help you in augmenting your daily regular efforts and practices. Without doing any Karma, no remedy will help you. PreviousWhat is Shaktipaat / Attunement / Energizing in the Astro Remedy and Vaastu Healing world?